Pizza is one of the awesomest things made since sliced bread. 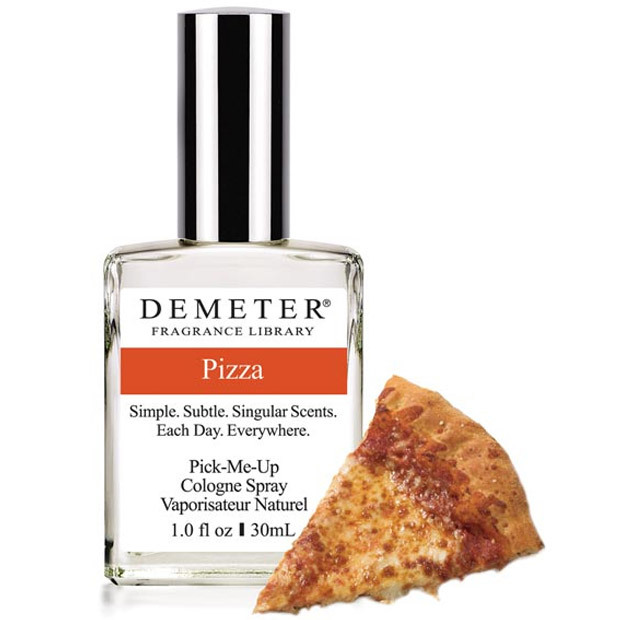 I’m still somewhere in the middle though, when it comes to these pizza-scented fragrances from the Demeter Fragrance Library. While the idea is completely fun and out there, I’m not sure I want to go to work smelling like a freshly-baked pie. The scent is described as containing notes of “tomato sauce, creamy mozzarella, [and] a touch of oregano.” In short, it will probably leave you smelling like your average pizza pie. The cologne is just one of Demeter’s many pizza-themed offerings. Others include roll-on perfume oil, body lotion, shower gel, massage oil, atmosphere spray, and atmosphere diffuser oil. You can find pricing info on Demeter’s site.